Free Delivery available on orders £70 or more. All items will be sent out next working day. Working days are classed as Monday through to Friday. * Next Working Day delivery on orders must be placed before 4pm. If the order is placed before 4PM on Friday you will receive your order Monday. Orders placed on after 4pm Friday, Saturday or Sunday will be dispatched on Monday for delivery on Tuesday. Please ensure that you select the correct delivery option at the checkout as mistakes cannot be rectified. Our couriers deliver between the hours of 9am and 6pm Monday to Friday. All items are shipped and tracked by Interlink all orders will require a signature on delivery. If you are not in at the time of delivery, Royal Mail will attempt to leave your parcel with a neighbour. If delivery cannot be made with yourself or a neighbour, a While You Were Out card will be left informing you that your parcel can be collected from the nearest Royal Mail delivery office (not your local Post Office). 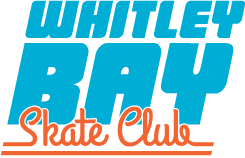 Royal Mail will hold the package for 14 days before returning to Whitley Bay Skate Club. For international customers and large items going to Jersey, Guersney we use Interlink. If your order cannot be delivered for whatever reason we will be notified by Interlink and re-arrange a delivery for you. If we are unable to ship your order within 72 hours of you placing it, we will be in touch with you to notify you of the problem. In all circumstances, your credit card is not charged until your order is shipped. We will update you by email when we think we can help get the item(s) to you If your item is not in stock, we will back order it for you. You will always be emailed with the option to cancel your order if you would rather not wait. AB30, AB31, AB32, AB33, AB34, AB35, AB36, AB37, AB38, AB39, AB41, AB42, AB43, AB44, AB45, AB51, AB52, AB53, AB54, AB55, AB56, AB63, BF, BT, DD10, DD8, DD9, FK17, FK18, FK19, FK20, FK21, FK8, HS1, HS2, HS3, HS4, HS5, HS6, HS7, HS8, HS9, IV1, IV2, IV3, IV4, IV5, IV6, IV7, IV8, IV9, IV10, IV11, IV12, IV13, IV14, IV15, IV16, IV17, IV18, IV19, IV20, IV21, IV22, IV23, IV24, IV25, IV26, IV27, IV28, IV29, IV30, IV31, IV32, IV33, IV34, IV35, IV36, IV40, IV41, IV42, IV43, IV44, IV45, IV46, IV48, IV49, IV50, IV51, IV52, IV53, IV54, IV55, IV56, IV64, KA27, KA28, KW1, KW10, KW11, KW12, KW13, KW14, KW15, KW16, KW17, KW2, KW3, KW5, KW6, KW7, KW8, PA20, PA21, PA22, PA23, PA24, PA25, PA27, PA28, PA29, PA30, PA31, PA32, PA33, PA34, PA35, PA36, PA37, PA38, PA39, PA40, PA41, PA42, PA43, PA44, PA45, PA46, PA47, PA48, PA49, PA50, PA51, PA52, PA53, PA54, PA55, PA56, PA57, PA58, PA59, PA60, PA61, PA62, PA63, PA64, PA65, PA66, PA67, PA68, PA69, PA70, PA71, PA72, PA73, PA74, PA75, PA76, PA77, PA78, PH10, PH11, PH13, PH14, PH17, PH18, PH19, PH20, PH21, PH22, PH23, PH24, PH25, PH26, PH30, PH31, PH32, PH33, PH35, PH36, PH37, PH38, PH39, PH40, PH41, PH42, PH43, PH44, PH49, PH50, PA17, PA18, TR21, TR22, TR23, TR24, TR25, ZE1, ZE2, ZE3, TD15, IM1, IM2, IM3, IM4, IM5, IM6, IM7, IM8, IM9, IM86, IM87, IM99.